Homework involves the activities assigned by a teacher to students and they are basically an addition of schoolwork. It normally includes practice assignments for emphasizing new skills or preparation assignments for preparing students for certain class activities. Below are major benefits of homework. Doing homework that increases gradually each year increases academic achievements. Learners score much better on tests. Homework also assists in developing a positive attitude towards exploring and learning. Since homework involves practicing the content learned in school, it makes students more proficient, thereby improving their results. Homework encourages students to initiate studies since they are usually one their own when they start working on their homework. The proper completion of the homework fosters more responsibility in students. Actually, most students feel accomplished and good after finishing their homework. Students are provided the opportunity of developing time management skills when doing their assignments. They begin allotting some time to both play and study, thereby learning to finish their scheduled duties in time. Furthermore, homework enables learners to work independently and it also boosts self-discipline. Homework serves like an essential link between home and school. Parents who support their children as they do their assignments help to strengthen this link. When parents are more involved in their children’s studies, these children usually feel appreciated and perform better in school. 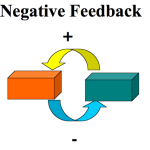 Actually, positive remarks have been found to increase a student’s desire to learn. Home assignments also benefit teachers since it helps them determine whether or not a certain topic was well understood. Instructors can change their teaching methods or repeat the subject if they discover that the students had not fully understood it. While homework allows students to do much better in school, it also takes up a lot of their free time.